Mother Nature has been kind to us for National Farmers Market Week, with the sun shining bright + a nice breeze blowing through the Market! 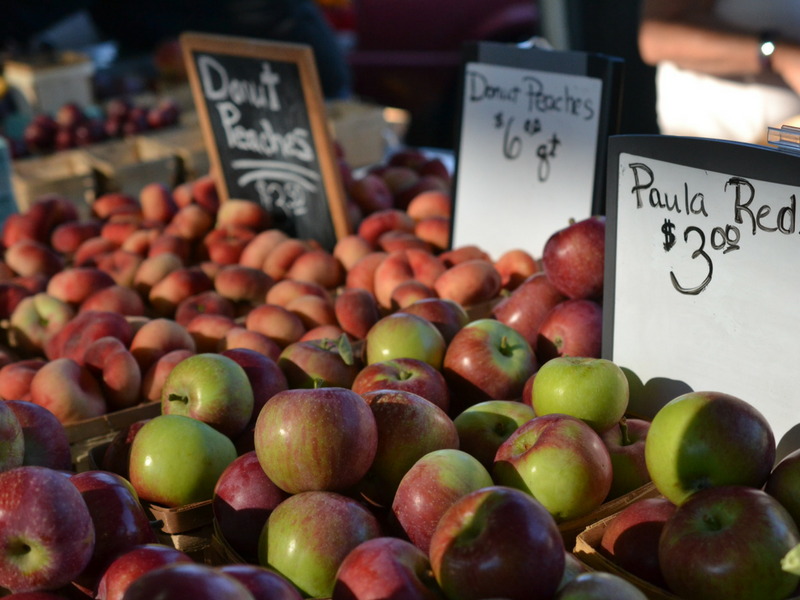 We've got an abundance of locally-grown produce (apple season is starting! ), meat, eggs, and dairy, Michigan-created food products, and handmade goods! The festivities continue with our third class, Quick Pickle, with Suzannah from Barriebeau Herb Farm, at 11A today! She'll show you how to pickle any vegetable in a briny solution using herbs and spices. The class is FREE and open to the public! 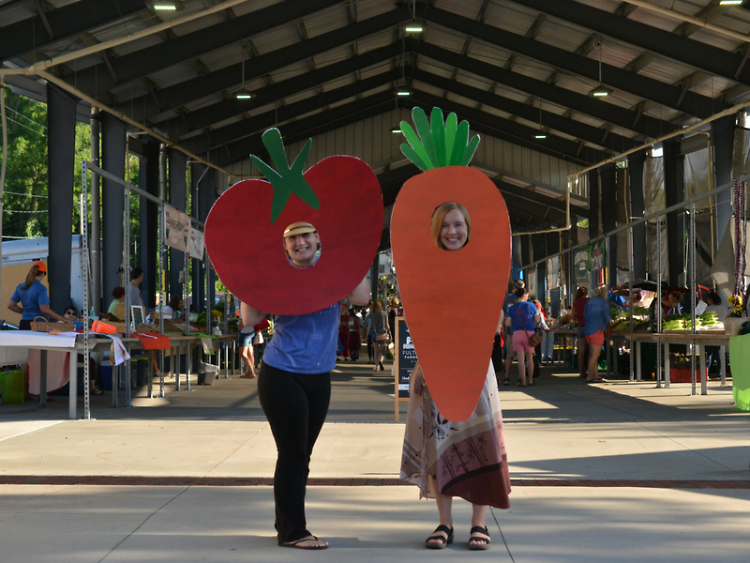 We also have fun activities, a veggie photobooth, scavenger hunt, food trucks, yard games, and facepainting for the whole family! Come on down! We're open until 3 today + tomorrow! 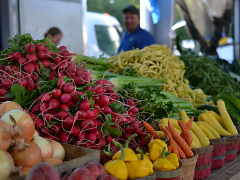 If you're curious what's in season and what you'll find here at the Market, take a look at the list below for a better idea!